US Attorney General Eric Holder is resigning after six years on the job. 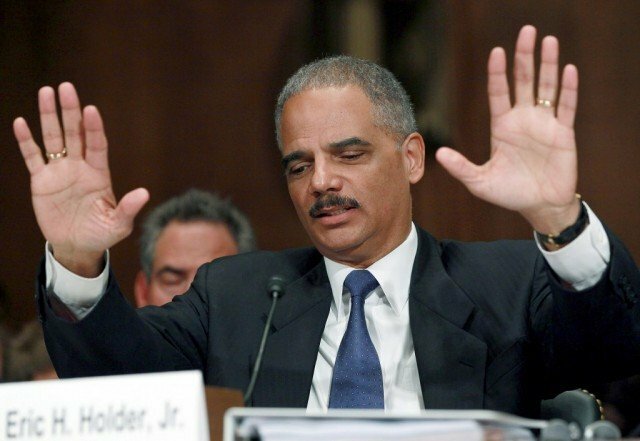 Eric Holder is the nation’s first black attorney general. The White House said that President Barack Obama would announce Eric Holder’s departure later Thursday, September 25, and that Holder planned to remain at the Justice Department until his successor was in place. White House officials said President Barack Obama had not made a final decision on a replacement for Eric Holder, who was one of the most progressive voices in his Cabinet. Advisers to Barack Obama and Eric Holder said the attorney general had been planning his departure with the president for some time. Some possible candidates who have been discussed among administration officials include Solicitor General Don Verrilli, California Attorney General Kamala Harris, Massachusetts Governor Deval Patrick, Deputy US Attorney General James Cole and Senator Sheldon Whitehouse, a former Rhode Island attorney general. Eric Holder, a 63-year-old former judge and prosecutor, took office in early 2009 as the US government grappled with the worst financial crisis in decades and with divisive questions on the handling of captured terrorism suspects, issues that helped shape his tenure as the country’s top law enforcement official. He is the fourth-longest serving attorney general in U.S. history. The news of Eric Holder’s resignation came as civil rights leaders and the families of Michael Brown and Eric Garner, who died in a New York City police chokehold this summer, were appearing at a news conference in Washington calling on the Justice Department to take over investigations into the deaths.